By nature, if you are a wealth builder, you are an over-achiever. You may not be an over-achiever in every aspect of life, but it is highly likely that you are an over-achiever on many fronts. There’s a good probability that you’ve excelled in school, excelled in business, excelled in a corporate hierarchy, excelled in athletics, and excelled in leadership. You probably have a competitive streak. You hate losing. You are a “Type-A” personality. You may be obsessive-compulsive in a few areas (like managing details). Let’s face it, it’s hard to be in the top 1% or 2% in anything unless you are a driven person who chases some form of personal perfection. But that creates a situation in what I call “the Pressure of Perfection.” Over time through your hard work and perseverance, people figure out and discover that you are “THE MAN!” or perhaps “THE WOMAN” who can come through in a jam, lead the team to victory, or just come up on top when the pressure is on. That leads to high expectations not just from yourself but from others. You have a reputation to uphold after all. Further, as you climb the social food chain, you realize that there are more rungs on the ladder to climb. There are bigger accomplishments, more goodies to obtain, and more successful people to associate with. But this pressure to achieve can quickly create habits and behaviors that work against us during the wealth building process (because they compel us to spend money in unproductive or inefficient ways). The pressure to keep up is self-induced. We have high personal standards. That’s not a bad thing. That’s a good thing. That’s the mojo that makes us high achievers. But nobody is forcing us to keep up with anybody in particular. It’s all in our own heads based on our own perceptions. You may feel very insecure about only being in the top 0.129% of the American population. But that means that you have achieved more than 99.871% of others. Keep it real and look at it from the other angle from time to time. We feel a need to demonstrate our success through material goods and services. I’ve noticed that some people just have a better knack for not requiring that feedback from external sources. They are very secure about themselves without having to publicly display their success for the rest of the community to see. Often, some very wealthy people really are the “Millionaire Next Door” type folks who prefer to just blend in with the masses and not bring any extra attention upon themselves. Public displays of wealth have a funny way of attracting the wrong type of people that have ulterior motives. It can also create legitimate security issues if you become a target. There’s a delicate balance between enjoying the honest fruits of our labor and doing things to flaunt it in the public eye. The usual suspects of cash draining expenditures include country club memberships, boats, cars, houses, private schools, jewelry and clothing. Personal pride is important. But make sure the sparkles match the budget. Nobody is perfect and we all struggle from time to time. We feel a need to always appear to be perfect. Perfectly smart. Perfectly successful. Perfectly fit. Perfectly groomed and attractive. And popular too. We need lots of friends and preferably friends in high places (or at least the appearance of high places.) But if somebody is really building wealth, then they are grinding it out through hard work and sacrifice just like you. They have bad days at work. They experience failures and setbacks. They make bad decisions from time to time. 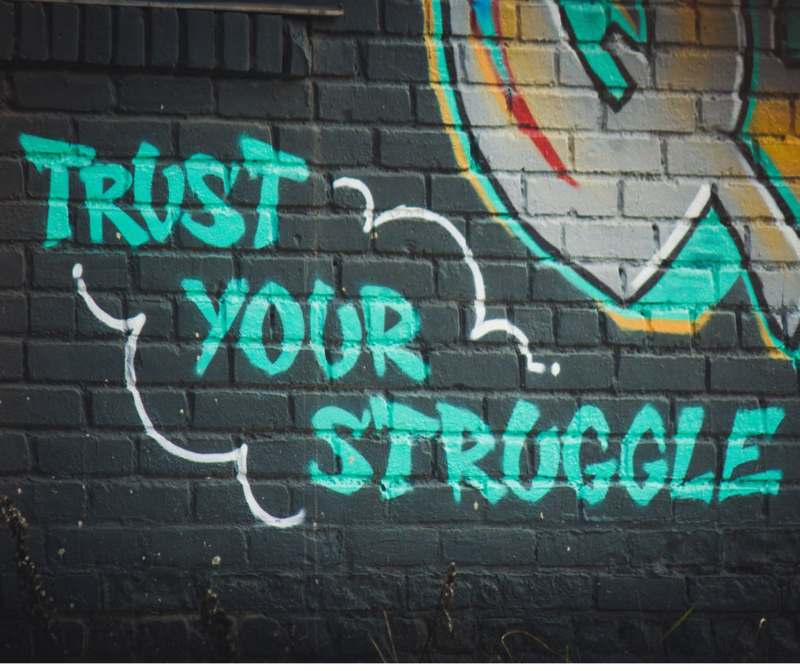 But in the end we need to trust our own struggles in life and keep moving forward to reach our goals.